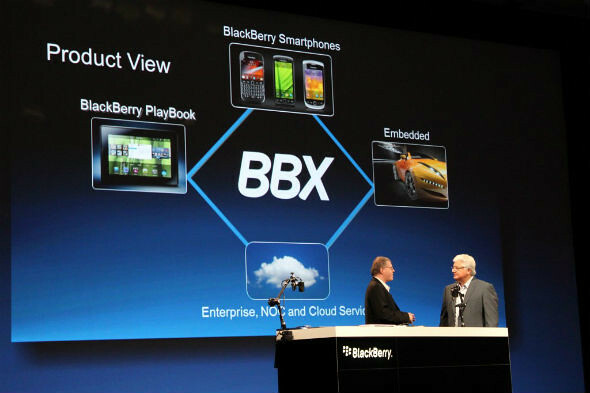 At BlackBerry DevCon Americas 2011, Research In Motion (RIM) unveiled BlackBerry BBX, its next generation mobile platform that takes the best of the BlackBerry platform and the best of the QNX platform to connect people, devices, content and services. In addition, RIM announced a series of developer tool updates, including WebWorks for BlackBerry smartphones and tablets, the Native SDK for the BlackBerry PlayBook and a developer beta of BlackBerry PlayBook OS 2.0 with support for running Android applications. RIM also provided direction for developers on how to best develop and monetize their BlackBerry applications for today and for the future. Here’s a video of BBX demo at Devcon.